A dozen Bangor University staff members and their families recently took part in a sponsored canoe paddle to raise money for the Ty Gobaith Children’s Hospice in Conwy, North Wales. The hospice is the university’s adopted charity, and more than £7,000 has been raised in the last 18 months from various challenges including climbing Mount Snowdon, abseiling down the Marquess of Anglesey’s Column, a sponsored weight loss and a charity football match. We were delighted to play our part in the latest fund-raising effort by sponsoring the hire of canoes, protective clothing and transport for the canoeists who paddled for two hours from the Conway Centre at Plas Newydd to Bangor Pier. 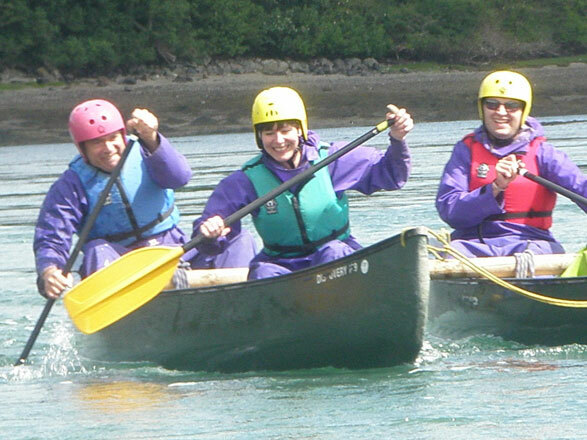 Some of the participants are pictured here setting out on their gruelling river trip. Our congratulations to them all on a magnificent effort on behalf of a very worthy cause.